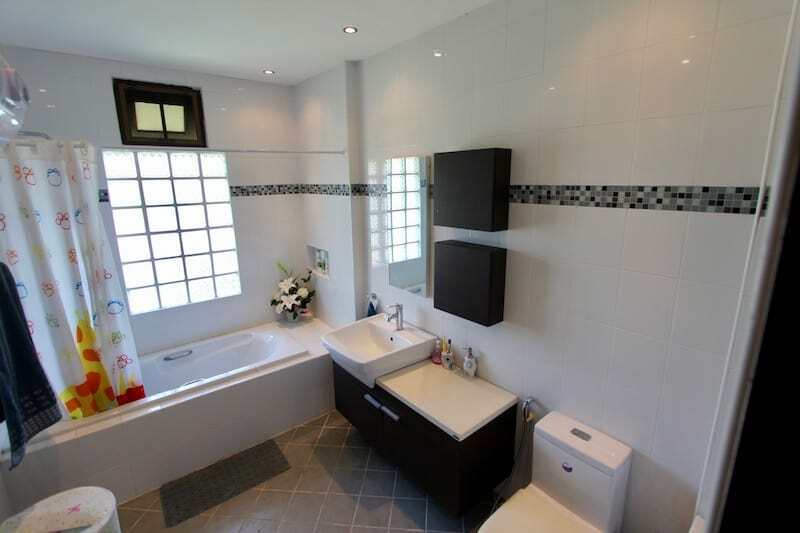 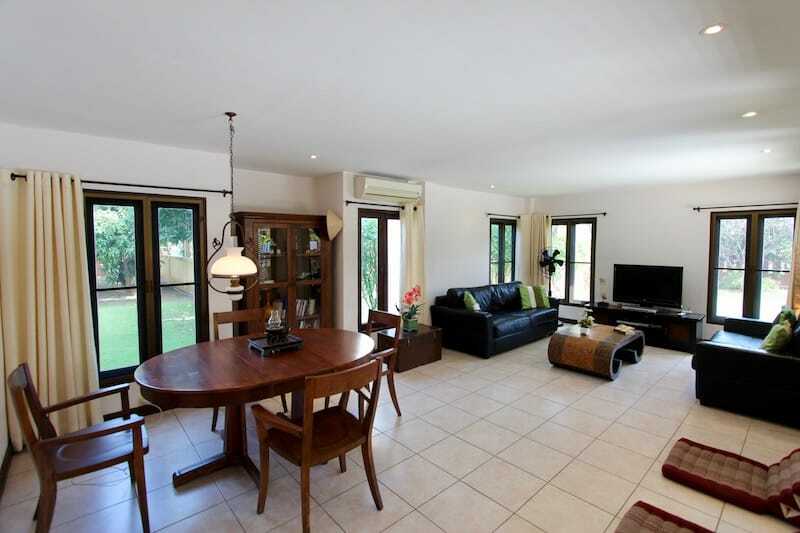 This is a great opportunity to rent a spacious home with swimming pool and large garden on a private corner plot. 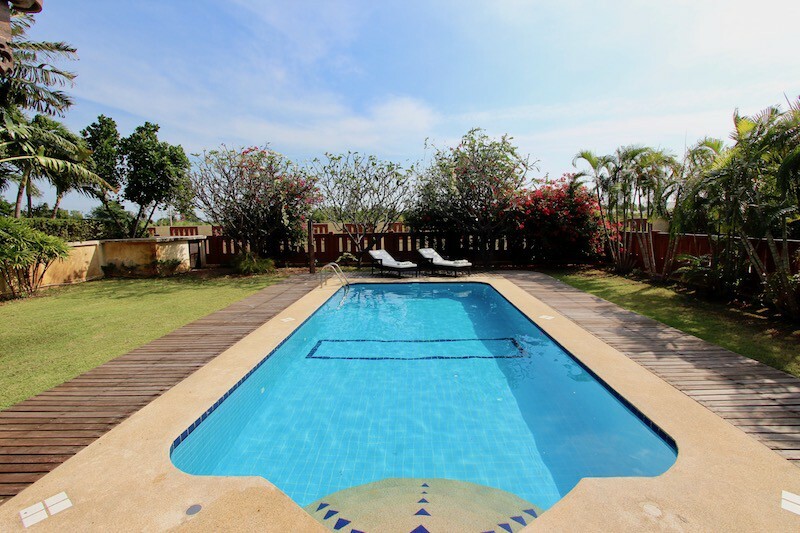 The generous land plot of 1,100 sqm allows for a lot of privacy and a fantastic lawn, perfect for kids to play. 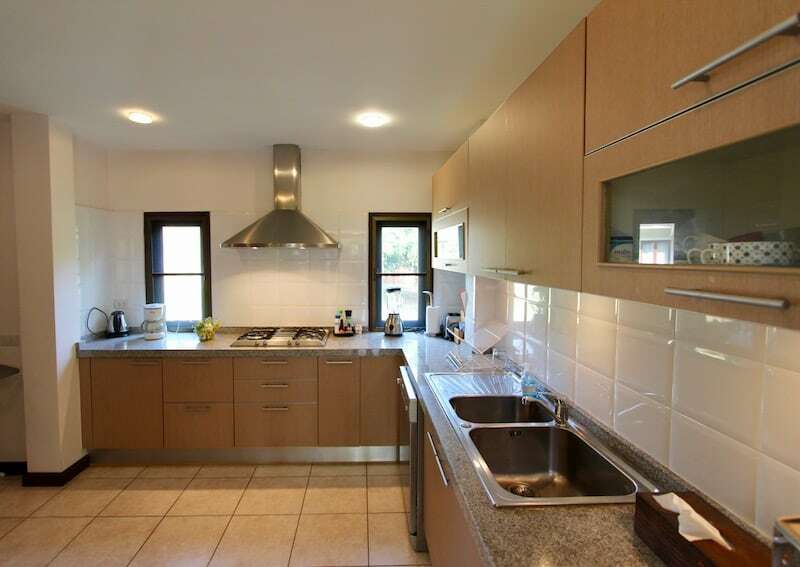 The home is located within a very nice development with a great community and many full-time residents. 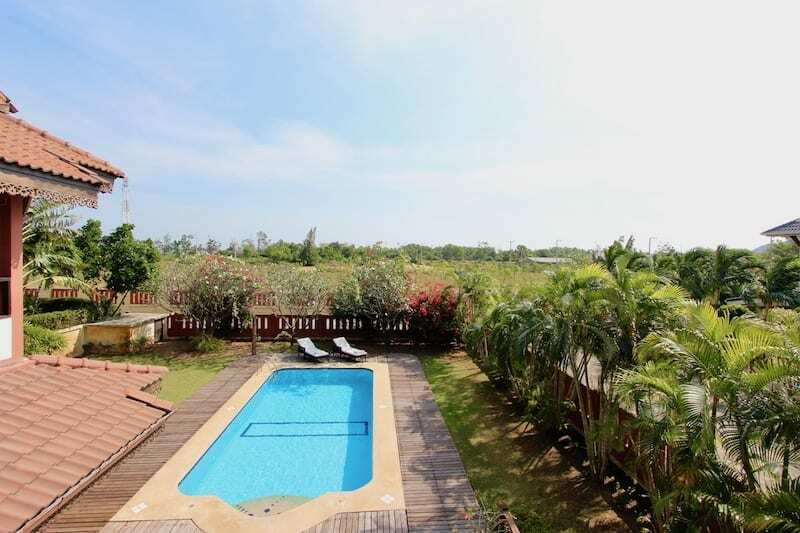 The development enjoys 24 hour security, a large communal swimming pool, and a small fitness room, and one of the best features is that the distance to the beautiful Kao Kalok beach is only about 600 meters and easily accessible by foot, bicycle, or car. 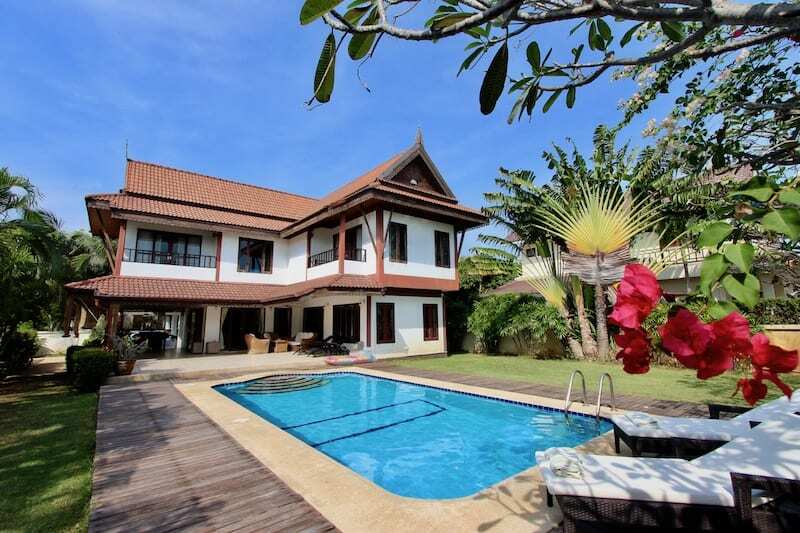 The exterior consists of a 4×8 swimming pool, a mature garden full of fruit trees and palms, a large sun deck and a covered terrace area with dining table. 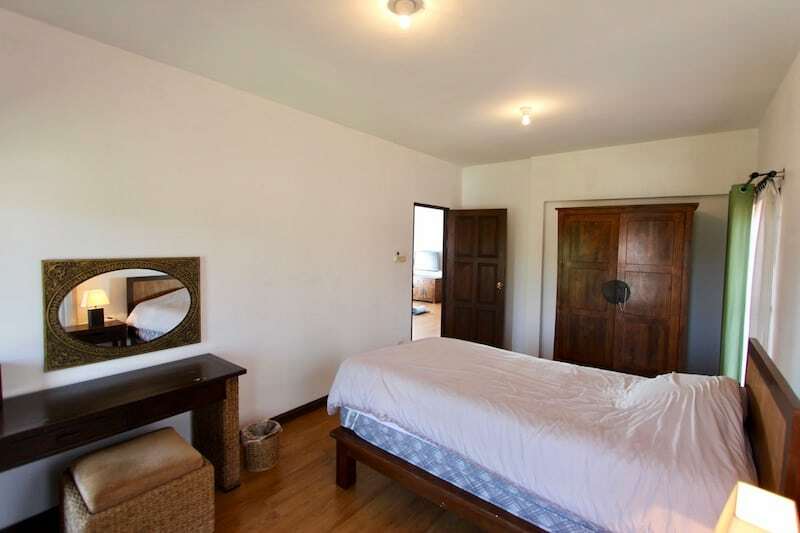 The main floor of the house has a full kitchen, an open living and dining room, a small guest bedroom (which could be utilized as an office, gym or storage room), a full bathroom, a separate storage room, a separate utility and laundry room (with washing machine and sink). 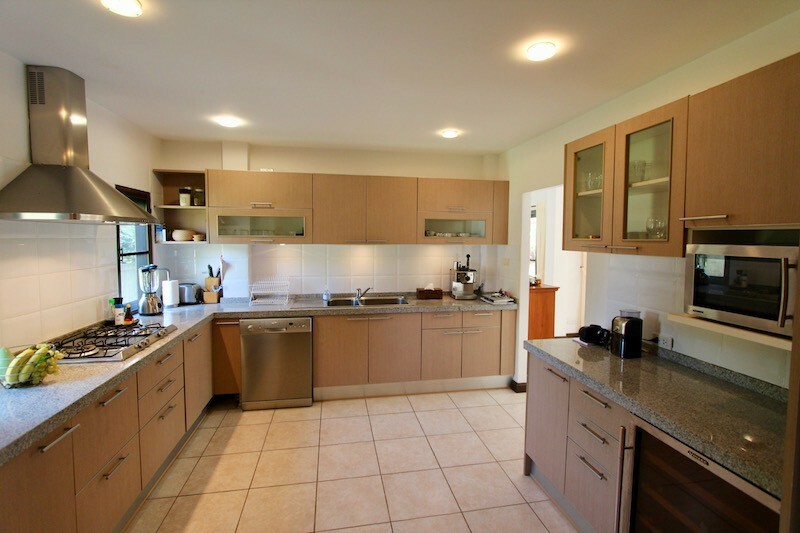 The kitchen includes a gas stove, microwave, dishwasher, wine refrigerator, full fridge/freezer, and abundant cabinets for storage and granite countertops. 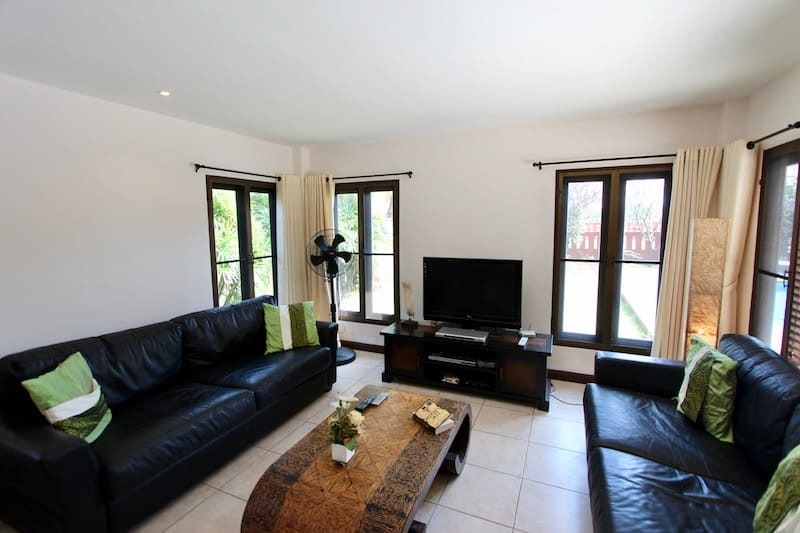 The living room has 2 comfy leather sofas, a large flat screen TV, and wifi already connected. 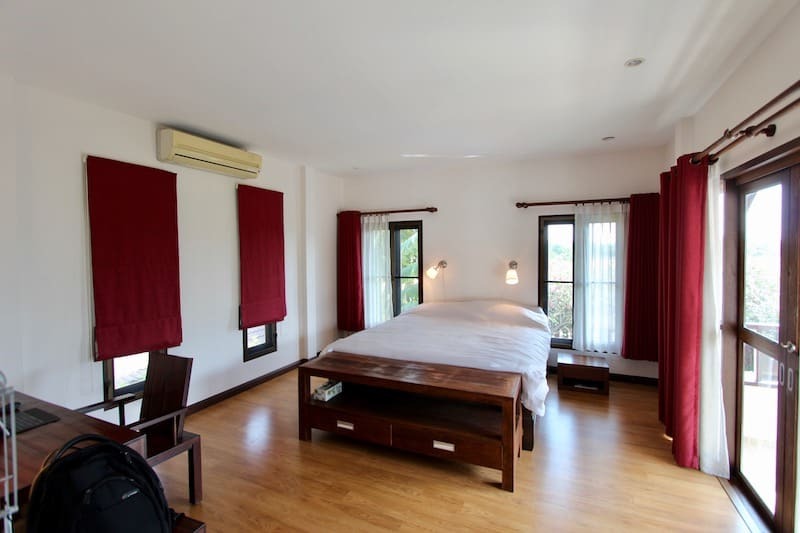 The home is beautifully and tastefully furnished and decorated, and all the furnishings are of high quality and in good condition. 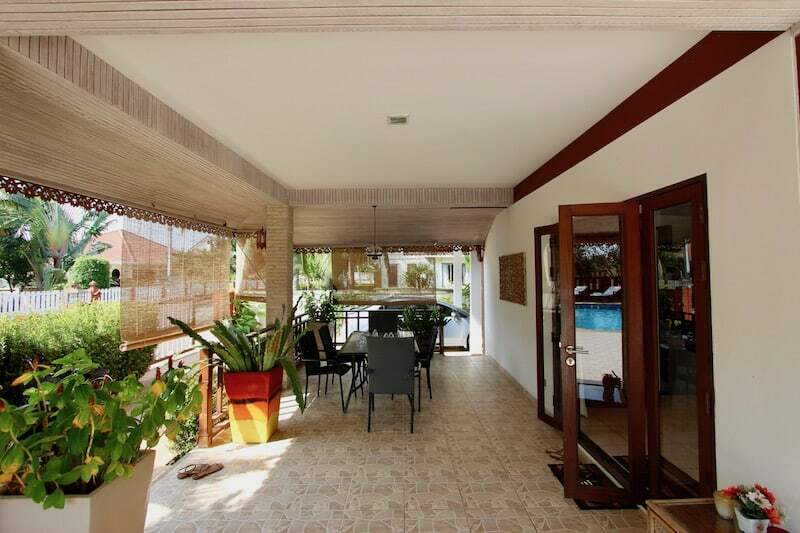 On the second floor are 3 bedrooms, 2 bathrooms, a large landing area and 2 balconies. 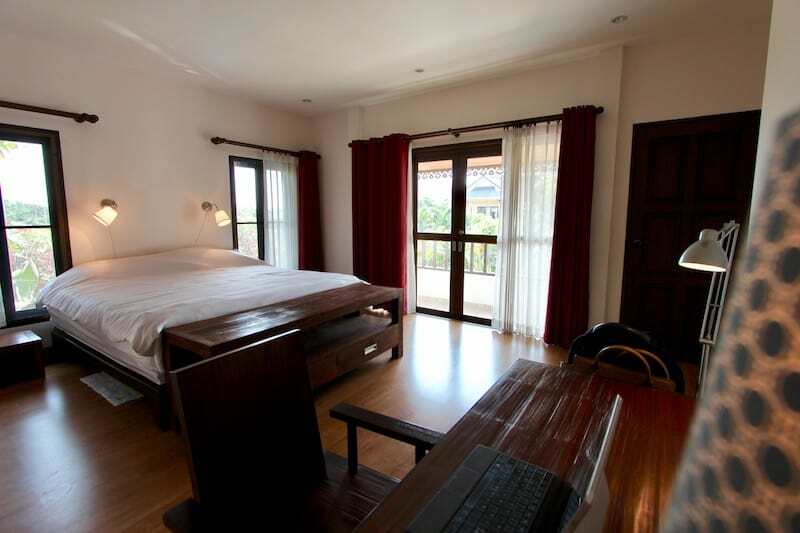 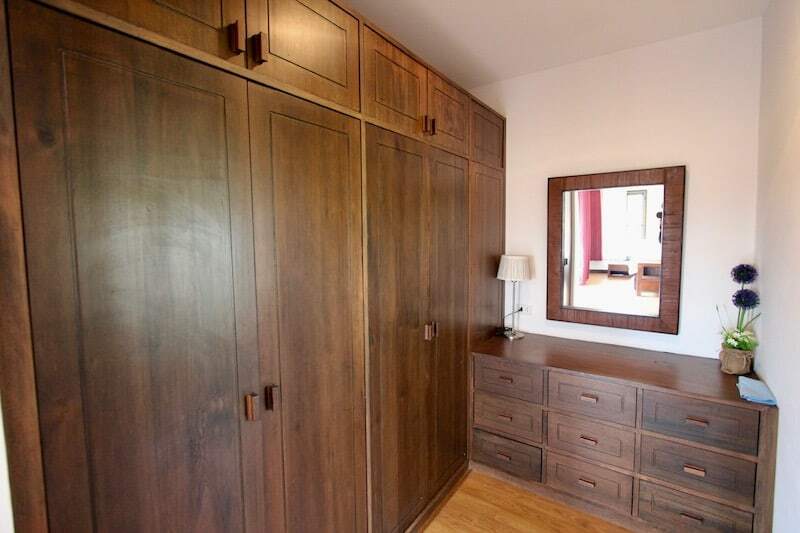 The master bedroom is spacious with beautiful Teak built-in wardrobes and vanity. 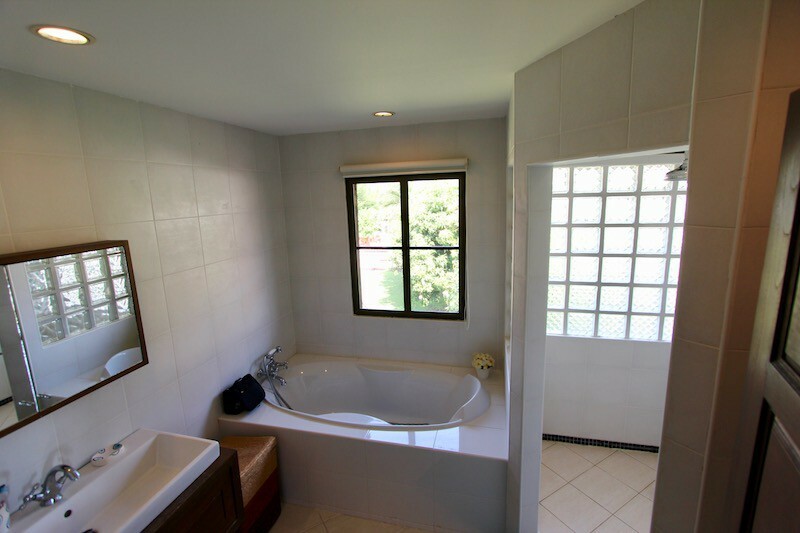 There is a king size bed, a desk, and an en-suite bathroom with bathtub and walk-in shower. 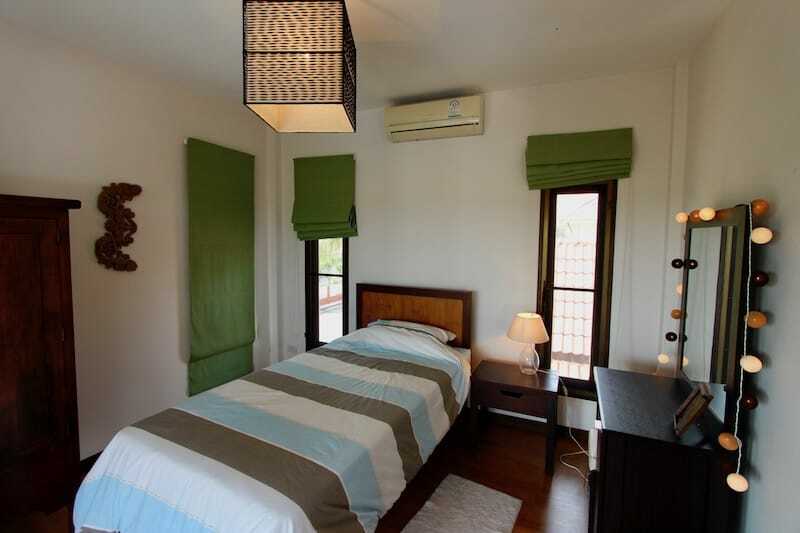 The 2 guest bedrooms each have a twin size bed, a wardrobe and a desk; these bedrooms share a bathroom. 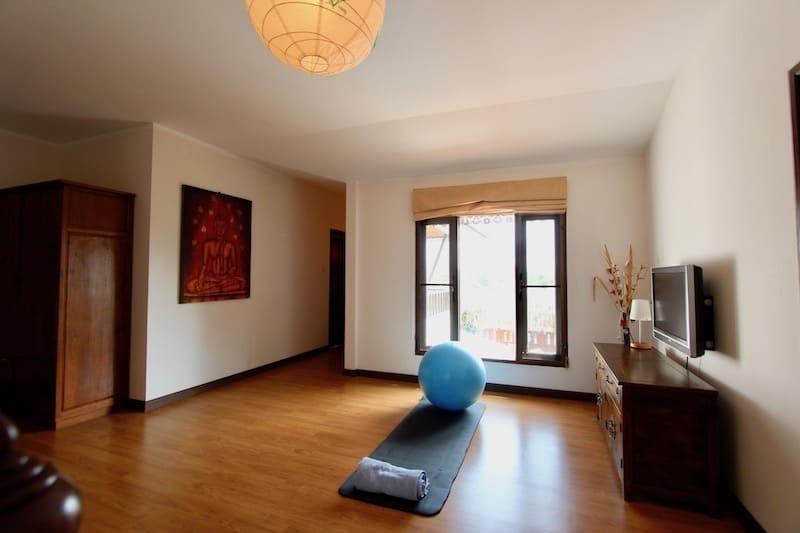 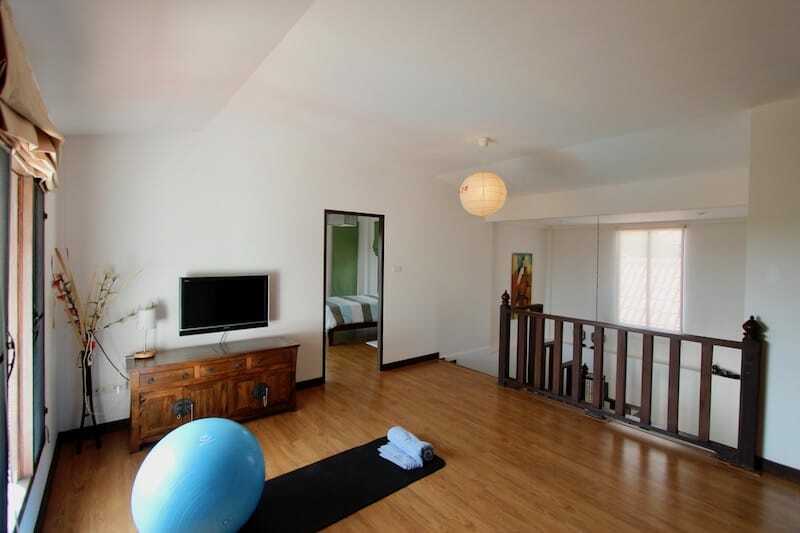 The landing area is the perfect spot to enjoy an early morning or late afternoon yoga session. 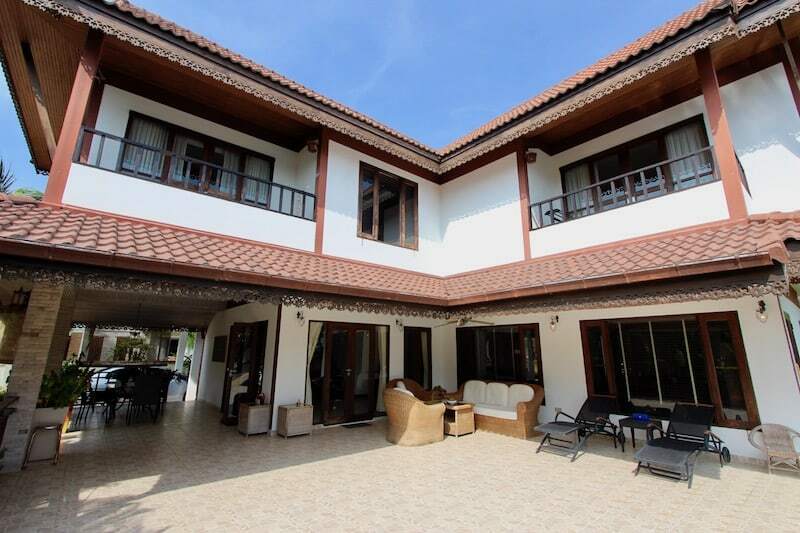 The home also has a covered carport, a private entrance gate and a full perimeter wall around the property. 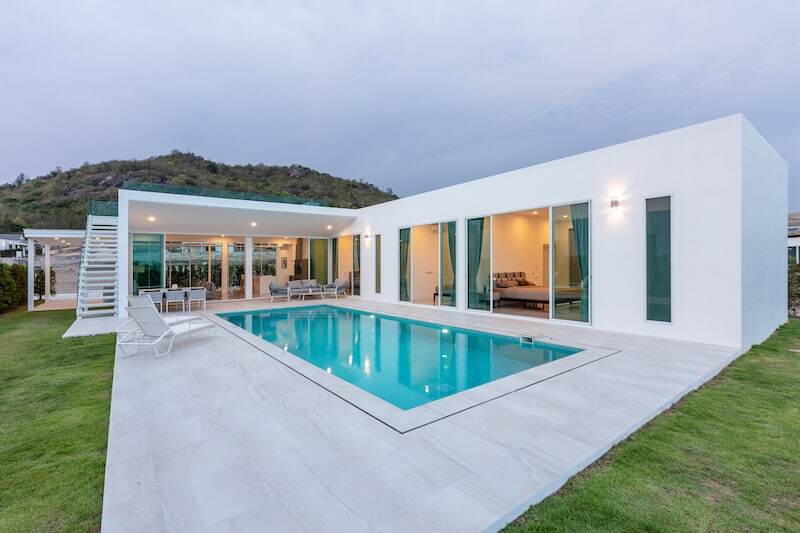 For more information and to schedule a viewing of this fantastic Kao Kalok home for rent, please contact Executive Homes Hua Hin at +66(0)85.264.2158.